In a large bowl, combine the ground pork, cabbage, nira chives, shiitake, garlic, ginger, soy sauce, sesame oil, sake, salt, and black pepper. Mix well with your hands. 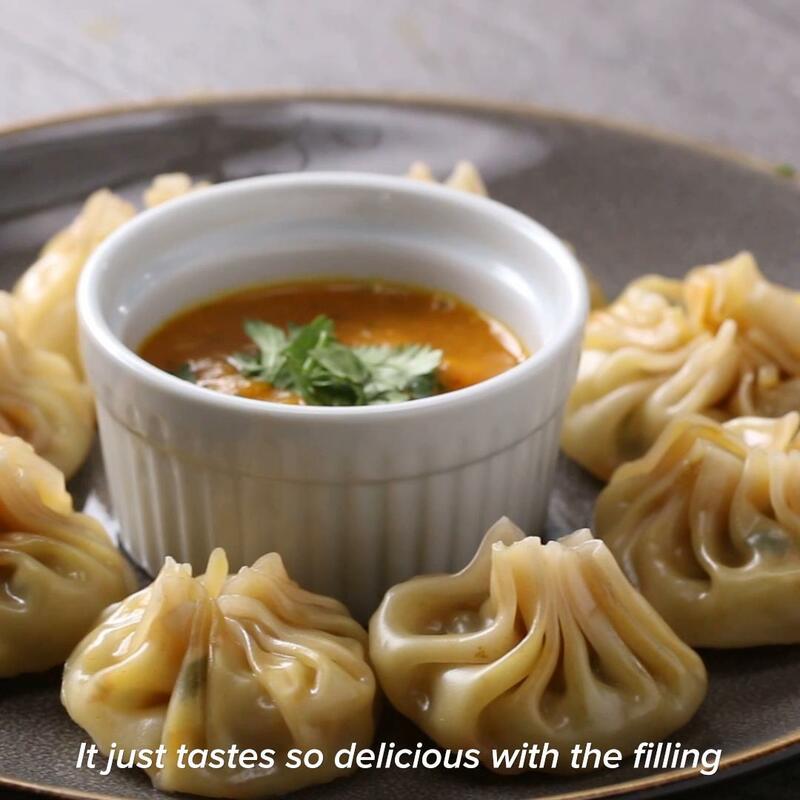 Place a teaspoon of filling in the middle of a dumpling wrapper. Using your finger, lightly wet the half of the outer rim with water. Fold the wrapper in half. 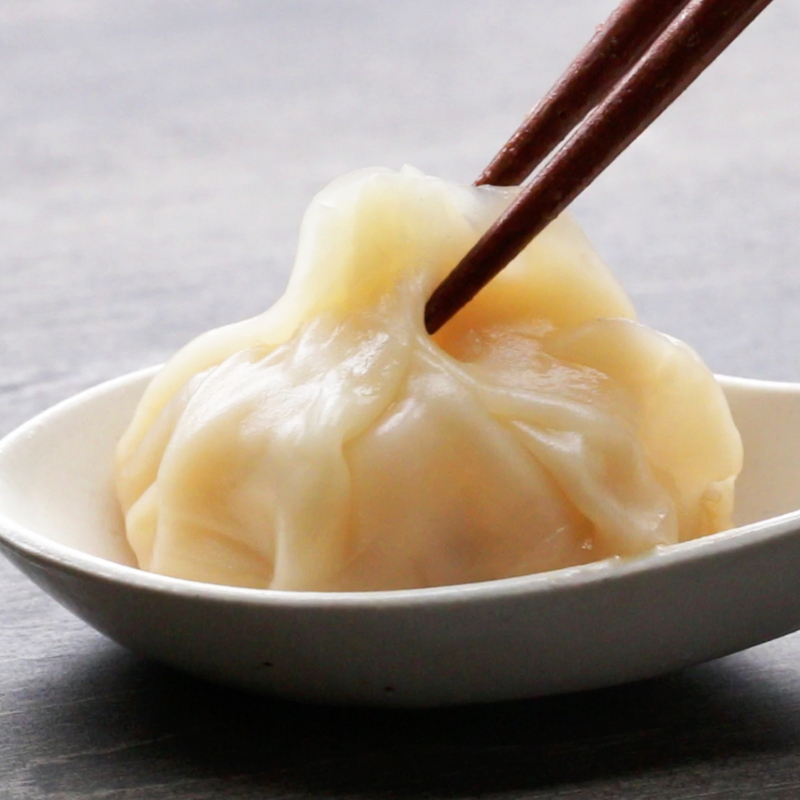 Using your fingertips, make pleats to seal the dumpling. Repeat with the remaining wrappers and filling. In a large nonstick frying pan, heat the sesame oil over medium heat. 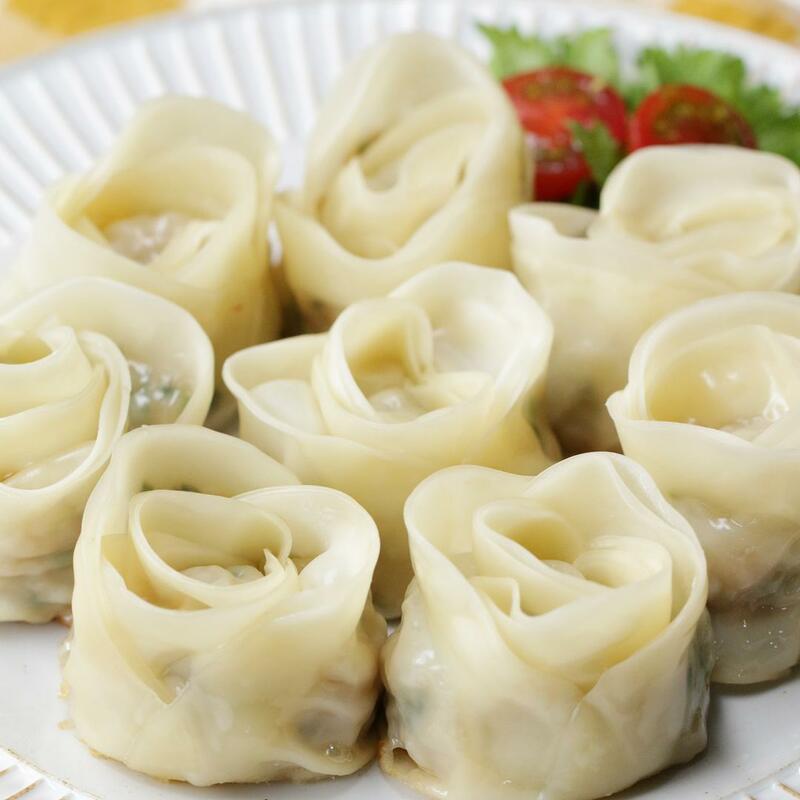 Add the 20-22 dumplings in a circle. Fry for 1-3 minutes. Combine the flour and the water in a small bowl or measuring cup. Pour into the pan and cover. Steam the dumplings until the water is mostly evapolated, 7-8 minutes. Remove the lid and continue cooking until the water is completely evaporated. 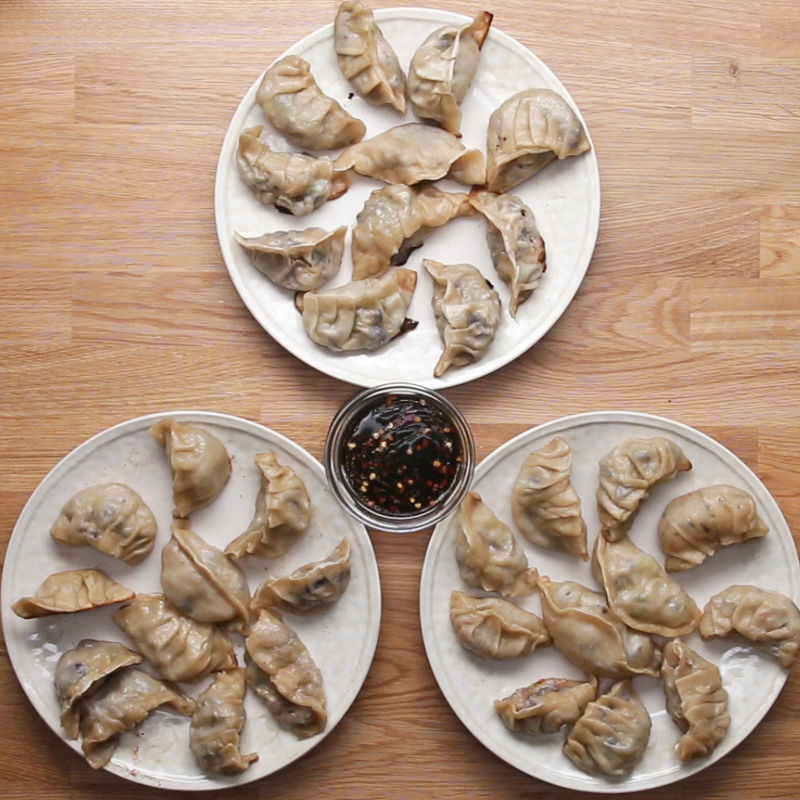 Place a plate on top of gyoza. Flip the pan upside down while pressing the plate to invert the dumplings. Cook the remaining dumplings. I made these tonight. So, we live in a smallish town that doesn’t carry pre made wrappers. 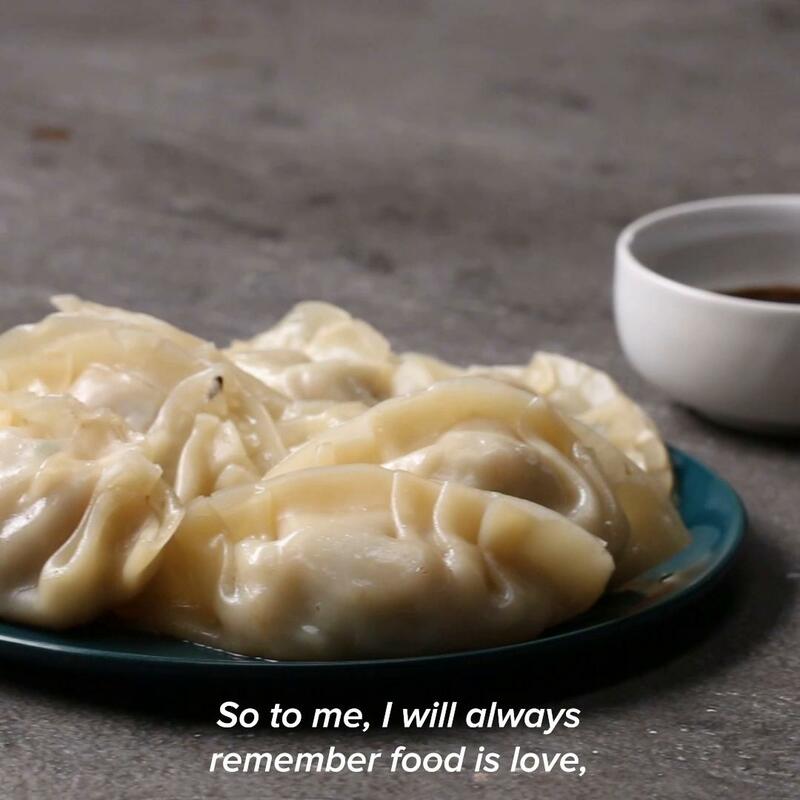 I had to take to Pinterest for a gyoza wrapper and the one I found did not disappoint. Next time, I will start the wrappers earlier. Also had an issue with them sticking to the pan. But delicious all the way around! Great! I subbed the shiitake mushroom for 1/2 yellow onion. I think it wouldve been better with the mushroom, i just didn’t have any on hand. Get your flipping skills ready, you’ll need them. I made two batches of 20 or so. The first batch came out together stuck, and the second one broke on its way out. Overall would make again. I wound up having to use smaller wonton skins instead of traditional wrappers due to availability in my local grocery store. To compensate I decreased the water to steam to 3/4 of a cup. Overall, they turned out fantastic! They taste delicious!